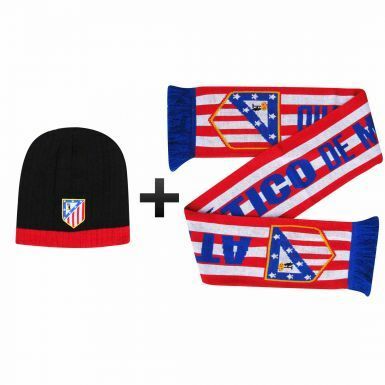 This official Atletico Madrid soccer scarf & beanie hat set is ideal for all Atletico fans. 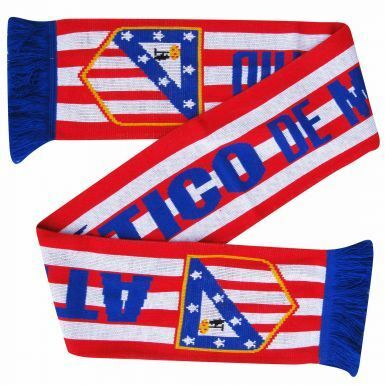 The scarf is made from 100% acrylic and measures 145cm in length. 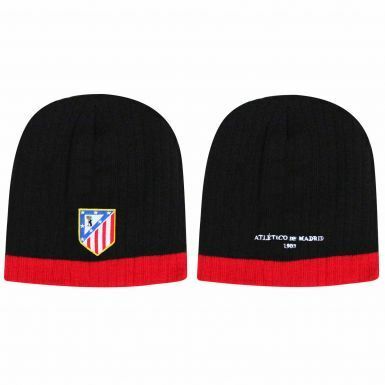 The Atletico Madrid beanie hat is 100% acrylic with an embroidered crest on the front.